Fremont Lake is an all sports fishing lake located in a growing community. Fremont is the home of Gerber Baby Food. We have connections with Spectrum Health out of Grand Rapids and a brand new High School offering greater learning opportunity for young families locating to our area. Nearby cities: Grand Rapids is about 50 miles south of Fremont and Muskegon is about 30 miles southwest. 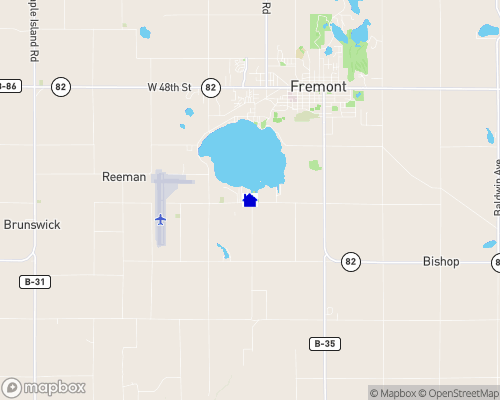 Nearest airport: Fremont has it's own airport, however, Grand Rapids and Muskegon have the larger airports.